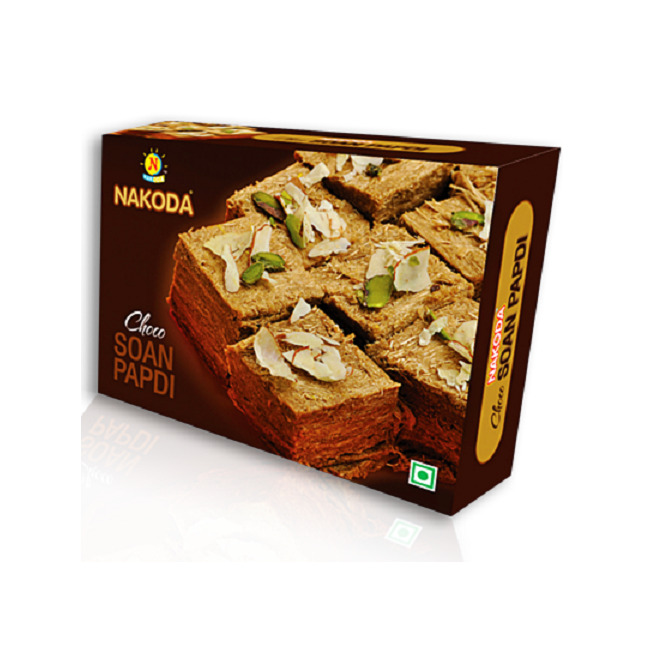 Buy Choco Soan Papdi of Nakoda Foods from Indore online | Authentic Indian Sweet , Savories and Delicacies from the place they originate by Moipot. A sweet, flaky sweet made with ever-so-delicious chocolate and other superior ingredients like wheat flour (atta), gram flour (besan), sugar, cardamom is the quintessential dessert you shouldn’t miss. Offering only quality and purity to all its clients, soan papdi by Nakoda Foods is made with great efforts where each strand of the sweet tend to come together making it a bit dense in texture.